While the announcement of an imminent 3DS price drop has halved new 3DS sales, it seems to have doubled used sales. Quite naturally 3DS sales plummeted when Nintendo announced an eighty dollar price cut was on the way. The twenty free virtual console games that Nintendo is offering as an apology to those who bought the system before the impending August 12th price drop have seemed to do little to placate ornery customers who think the drop is too steep and has come too early. Game hardware retailers in Japan are pleased as punch, however. In response to the announcement, savvy retailers lowered the average price for a used 3DS from the equivalent of $295 to $179, besting the new price of $192 set by Nintendo, doubling used sales of the troubled handheld in the process. Not only are consumers who buy used getting a 3DS, albeit one potentially covered in sticky fingerprints, for less than Nintendo's new lowered price, they're still able to take part in the Ambassador Program and will receive the 20 free games intended for those who paid full price for the handheld. Cheeky. While it may be tempting to consider all sales as good sales, Nintendo doesn't see a single penny, or yen in this case, from used sales. 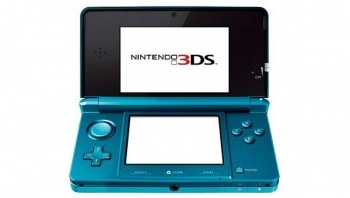 While more 3DSs bought should mean more 3DS games sold, that may not necessarily be the case. Since the Gamecube, Nintendo has been suffering from low attach rates for its hardware. Simply put, while plenty of people have bought the Wii and the various incarnations of the DS, they're not buying very many games for them. This is reflected in Nintendo's hardware decisions and pricing. While other console manufacturers traditionally take a loss on each console sold, which they then plan to make up for in games sales, Nintendo does the exact opposite, making most of its money through hardware sales. A similar situation is occurring in the US, as a rumor abounds that Walmart will be implementing the price drop early, allowing its customers to pick the 3DS up at the lowered price before August 12th and get the twenty free games offered as part of the Ambassador Program.